PT Bukit Asam (Persero) Tbk – PTBA or referred to as “Bukit Asam” is one of the largest coal mining companies in Indonesia which is majority owned by the Government of Indonesia. At present, Bukit Asam is 65.02% owned by the Government of Indonesia and 34.98% by general publics and investors. Based in Tanjung Enim South Sumatera, PT Bukit Asam (Persero) Tbk has approximately 90,832 hectares of mining business license (IUP), comprise of Tanjung Enim Coal Mine (66,414 hectares), Ombilim Coal Mine (2,950 hectares), Peranap Mine (18,230 hectares), and IPC mine (3,238 hectares). Bukit Asam is widely known nationwide as one of the largest coal mining companies in Indonesia with 7.29 billion tons of total resources and 1.99 billion tons of total mineable reserves. As of December 2014, the state-owned coal mining company supported by 11 subsidiary companies and 7 affiliated companies. 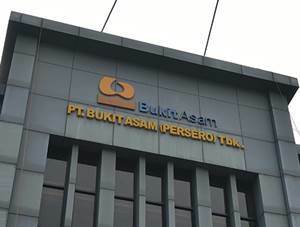 In term of financial performance, Bukit Asam recorded a satisfiying financial result in 2014. According to PT Bukit Asam (Persero) Tbk Annual Report 2014 as cited by JobsCDC.com, Bukit Asam booked total net income of Rp 2,019.21 billion in 2014, up 8.89% from Rp 1,854.28 billion in 2013. Bukit Asam registered a 16.67% growth in total sales value of Rp 13,077.96 billion in 2014 as compared with Rp 11,209.21 billion in 2013. Preferably Male for positions that require Male. Willing to be assigned in all operation areas of PTBA. Not exceed 26 years of age for D3 and 28 for S1/D4 by 1 May 2016. Accredited A : minimum cumulative GPA of 2.75. Accredited B : minimum cumulative GPA of 3.00. Accredited C : minimum cumulative GPA of 3.25. Have a good health (physically and mentally) and drug-free. Not in a bond department with the other company / agencies. Applicants are allowed to apply only to one area of expertise. Not in legal proceedings and lawsuits or criminal status.